Today’s meandering customer journeys take place over multiple channels and devices. Each interaction creates a stream of digital information, leaving marketers with a growing pile of data. But, with data seemingly everywhere, why are so many marketers still feeling like there’s not a drop to drink? 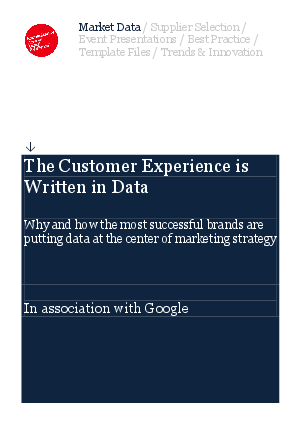 In this research report from June 2017, Econsultancy surveyed more than 700 marketing and analytics executives at consumer brands to better understand how data factors into marketing strategy — and daily decision making. Two-thirds of leading marketers — those who outperformed their top business goal — say they currently have a documented data and analytics strategy.